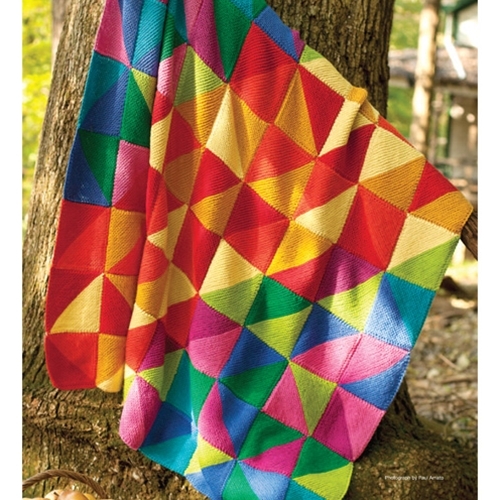 This simply stunning ten-color afghan is composed of eighty-one bicolor garter-stitch squares that are arranged in different directions to create a kaleidoscopic effect. • 19 sts and 34 rows to 4"/10cm over garter st using size 6 (4mm) needles. • Each square measures 6"/15cm.